You can add a little spooky to your Halloween party with these easy to make paper bat Halloween party picks. 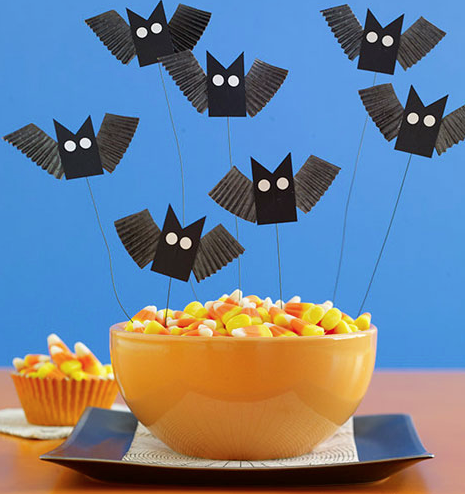 They can fly over your bowl of candy or even hover over cupcakes and they are super easy to make with the bat template and some mini cupcake liners. The bodies of the bats remind me of fun nautical flag pennants, so you could use the same idea to make a pretty cute garland of bats hanging upside down too! You can download the free bat template and check out how to make paper bat party picks over at All You.